From The Parkway take exit #138 following signs to Colorado Ave and the Old Mill District. Head southwest on Colorado Ave to the roundabout at the corner of Simpson and Colorado. Free parking is available in the Mt.Bachelor bus lot, located just two blocks from the Les Schwab Amphitheater. 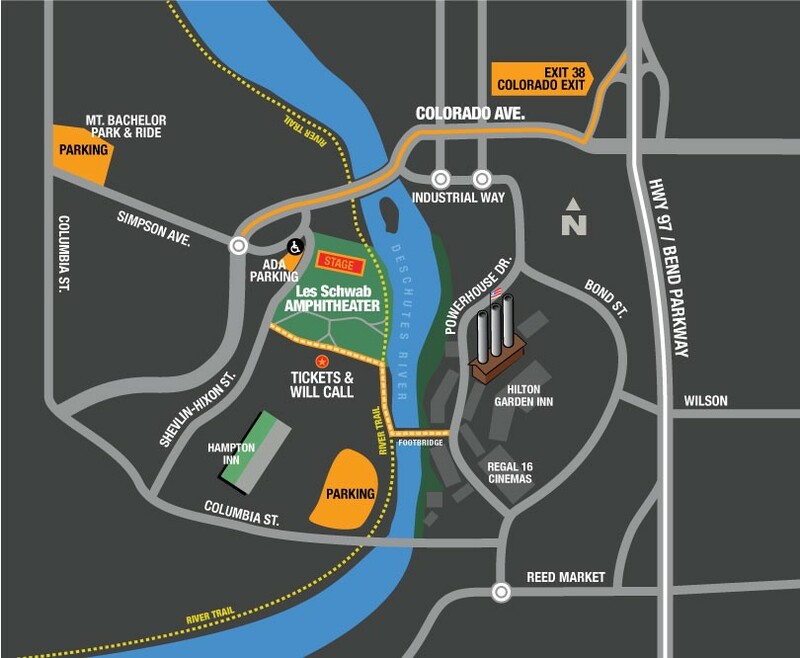 See our Parking Map here.